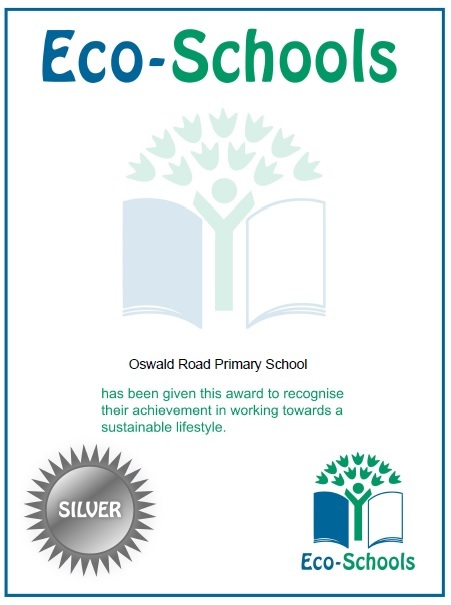 In January we were awarded the Eco Schools Silver award in recognition of all the hard work we have put in to recycling and to developing our playground. 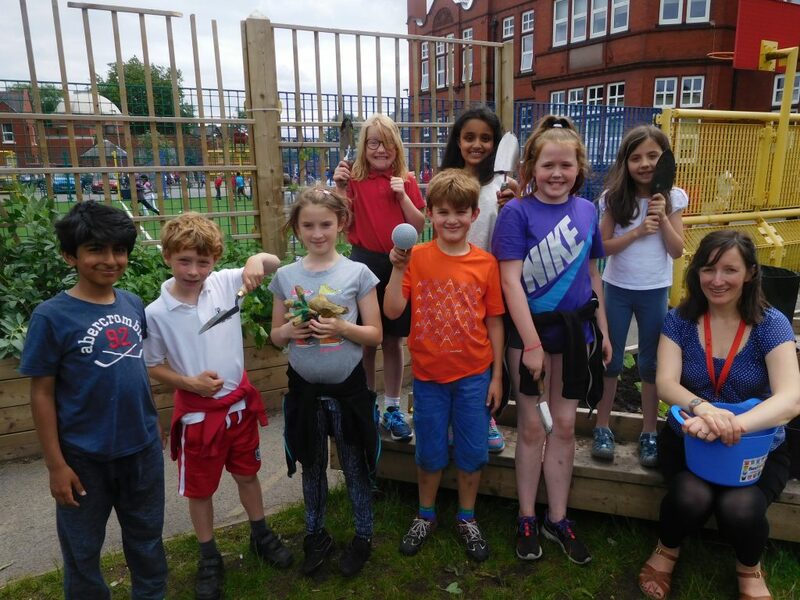 The Silver award criteria focuses on strengthening pupil leadership and whole school involvement while the school starts to work on at least one of the Eco-Schools topics in depth. You can see you certificate proudly displayed on our school Eco board. All classes across the school, as well as the school office are now recycling paper. In addition the kitchen and the staffroom recycle glass, plastic and metal and all the food waste from the kitchen is sent away to be made into compost. In May staff and pupils at Oswald Road Primary School donned their best emerald outfits to celebrate all things eco for ‘Green Day’. Pupils were asked to wear green and bring in a donation towards the school’s Owl Garden. Children from 5WM were also helping out by selling their homemade healthy bakes during morning break, raising a fantastic £89. Year 2 really went to town with their ‘Going Green’ themed homework. 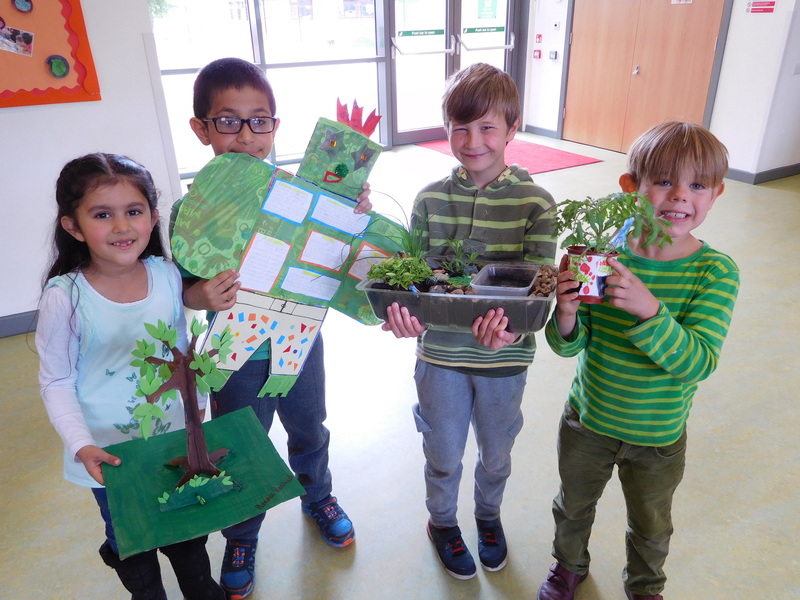 Suraj made his own compost bin, Felix has been growing tomatoes, and Amna created a beautiful tree. We loved Luke’s amazing rock garden (complete with pond!) and Hassan’s eco-robot, which was covered in handy tips on how to be more eco-friendly! The grand total we raised was a super £266.62. Thank you to everyone involved, this is a fantastic amount of money to put towards our Owl Garden!